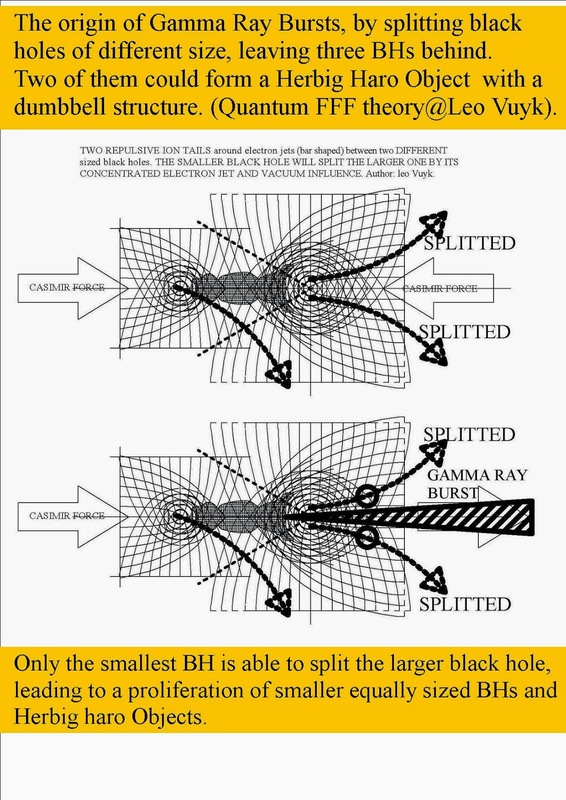 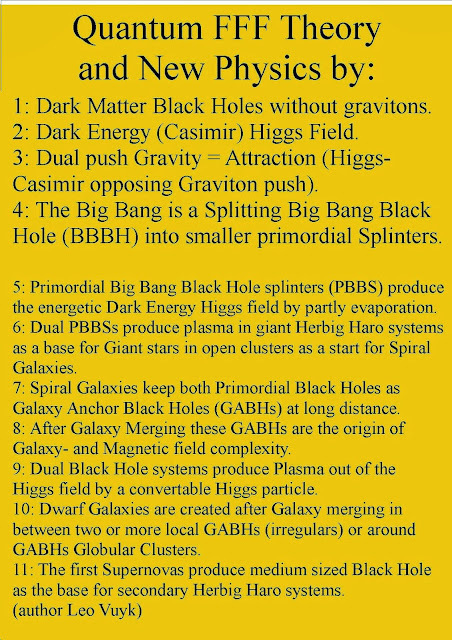 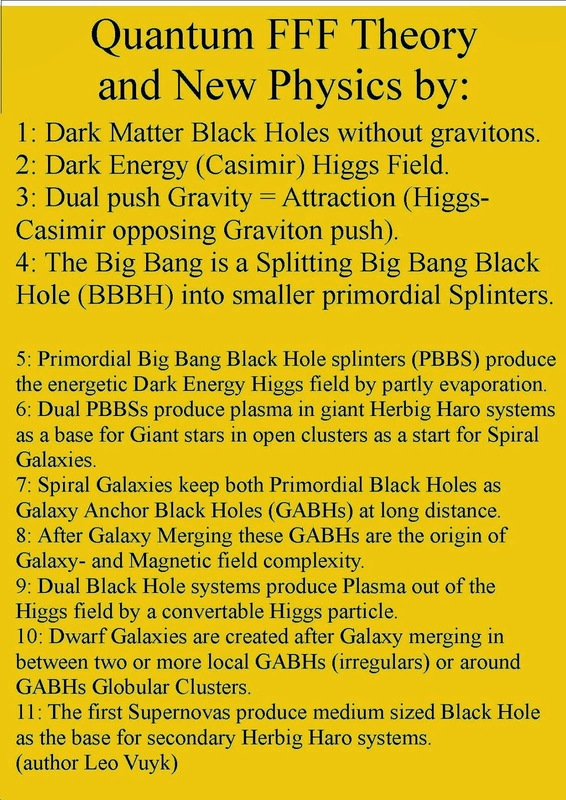 The Origin Of Gamma Ray Bursts: Splitting Dark Matter Black Holes. According to Quantum FFF Theory, the Big Bang can be compared with a splitting Dark Matter Black Hole, also evaporating into Dark Energy Higgs vacuum. This should lead to a fractal shaped raspberry multiverse with mirror quantum entanglement without a Schrödinger Cat paradox because there are always two Cats observing each other by entanglement between these universes. 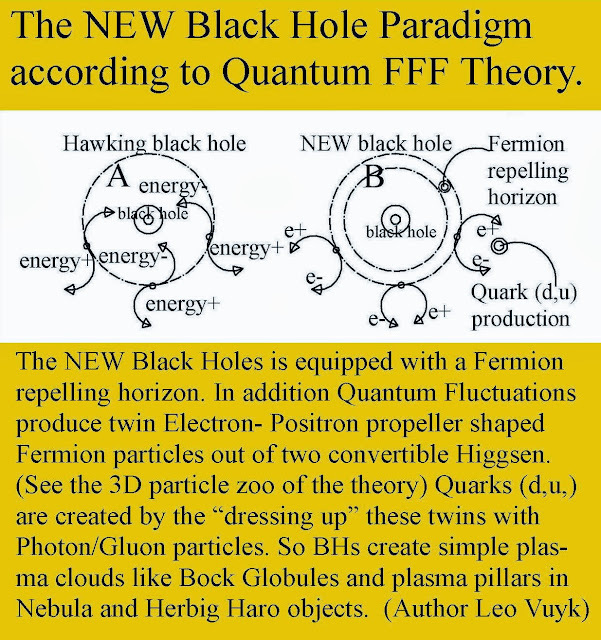 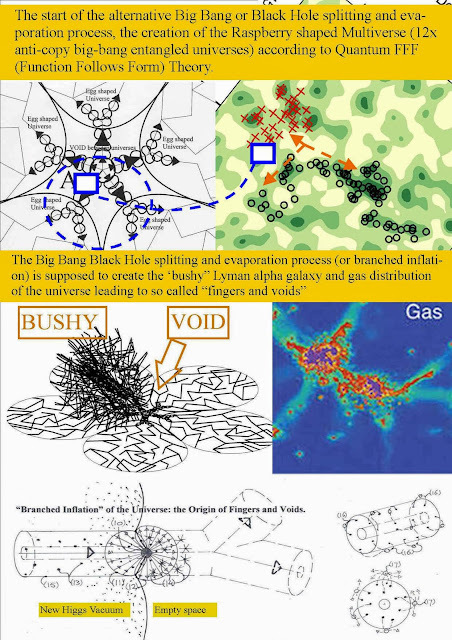 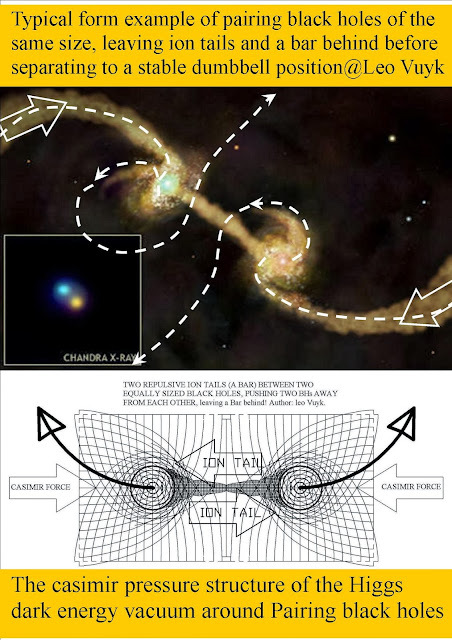 As a consequence, the so called inflation epoch after the Big Bang is NOT the creation of all the plasma like Hydrogen ions needed to form the first giant Stars and Galaxies, but the splitted Black Holes created the plasma by themselves by a new paradigm repelling Horizon made possible by the propeller shape based flip-polarisation of Fermions !!! 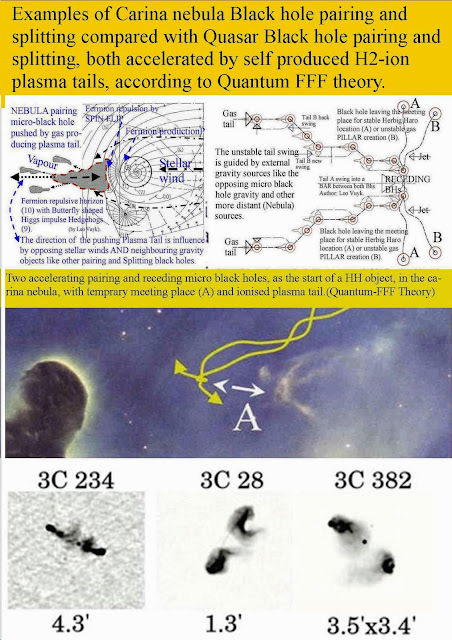 See;. 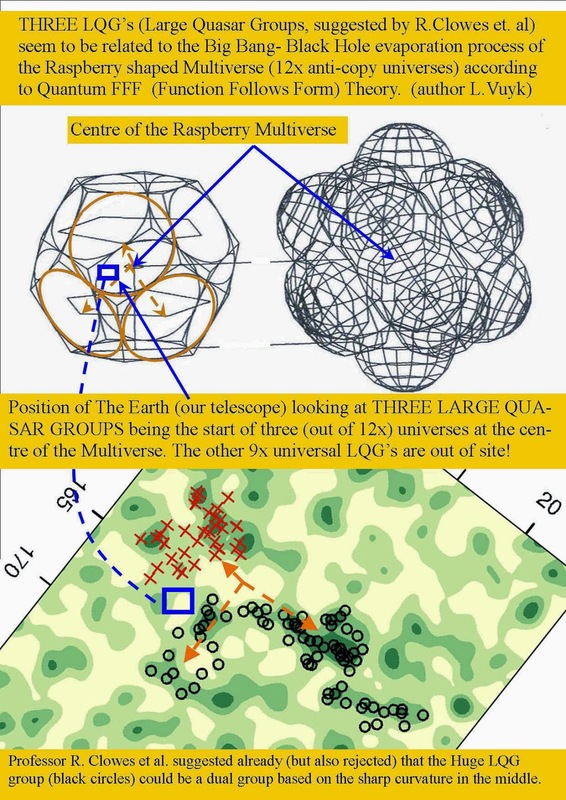 The Fractal Multiverse with raspberry shape. 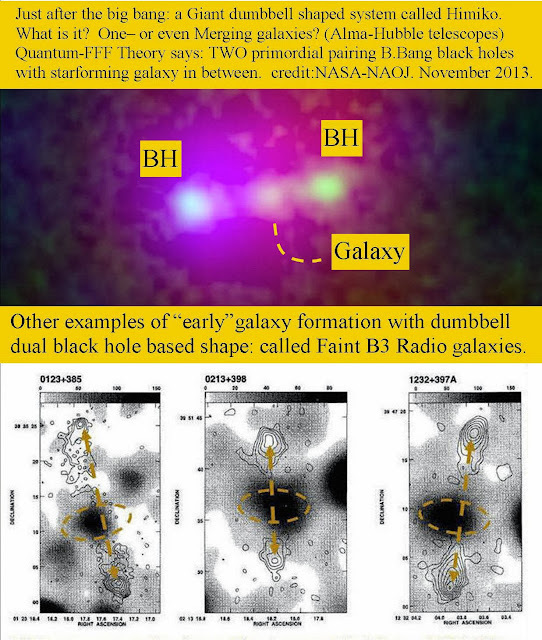 Three Large Quasar Groups are a firm evidence for The Black Hole splitting Big Bang Theory. 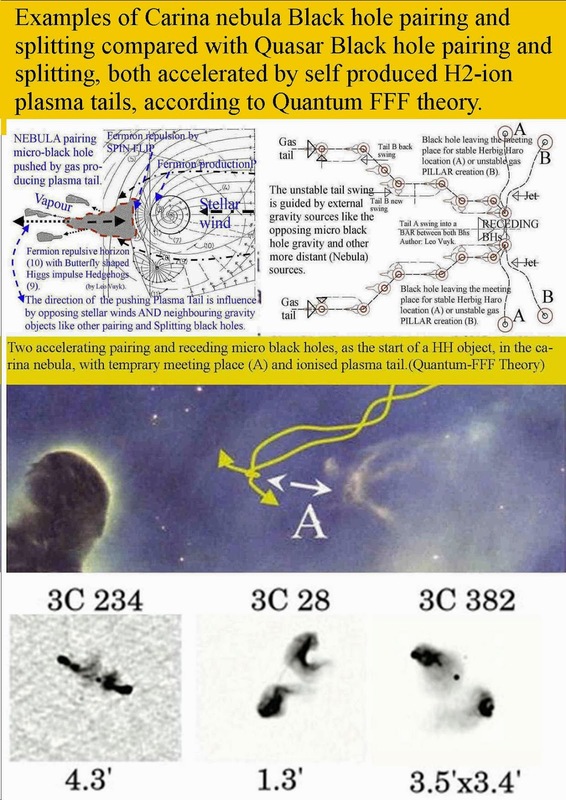 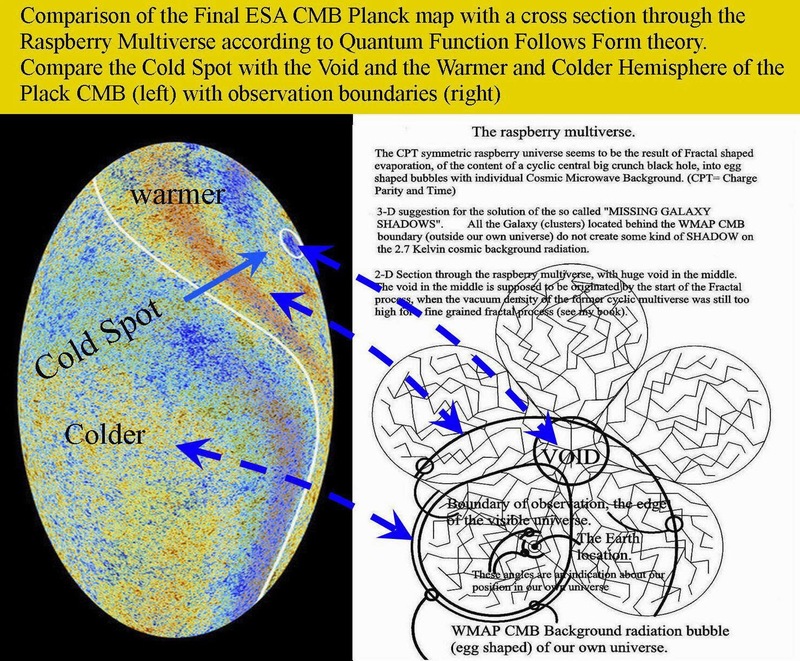 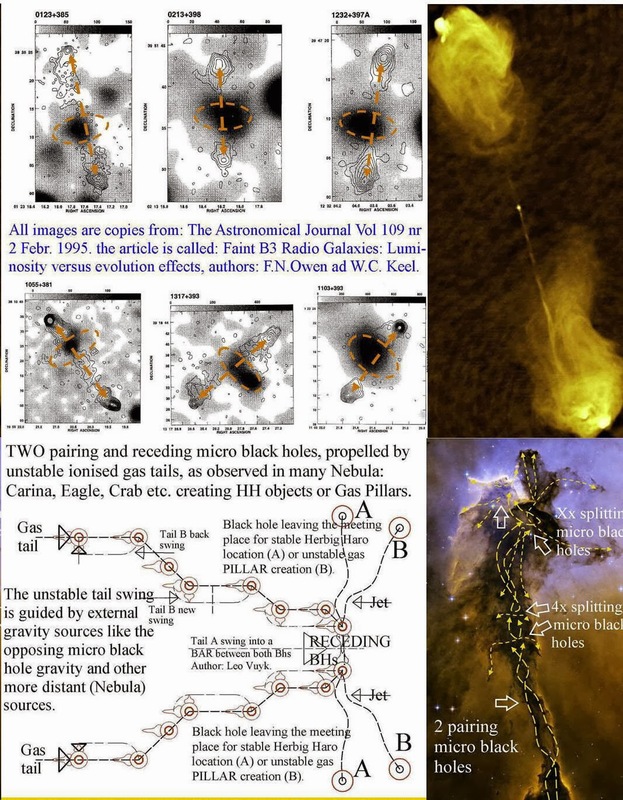 at their Fermion repelling globular horizon as the origin of water based Cometary nuclei and vapour trails of micro Comets and Ball lightning seen at Ball lightning photos and Micro Comet videos.